Performing on a cruise ship can be a great gig. It gives you daily performance opportunities, while getting to travel and have low living experiences. So how do you get your golden ticket? 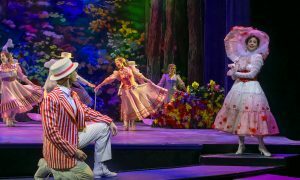 While visiting Norwegian Creative Studios in Tampa, Dance Informa’s Deborah Searle chatted with Norwegian Cruise Line’s Director of Entertainment Production, Robert Dean Hertenstein, about what he and his colleagues are looking for when casting their shows. 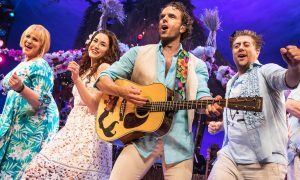 Norwegian Cruise Line presents world class shows on their fleet of 14 stunning ships, including Broadway productions Legally Blonde, Shout!, Rock of Ages and most recently Swing! by Lynne Taylor-Corbett, which just opened on the Norwegian Pearl in March. The company also presents several unique shows created especially for Norwegian such as Paradis (an ode to Moulin Rouge) and the ever popular Elements which is full of contemporary dance, ballet, aerial work, illusions, water levitation and more! At any one time Norwegian is working with 450 performers, and they see about 750 performers a year from all over the world! So how can you book a cruise ship gig and excel your career? 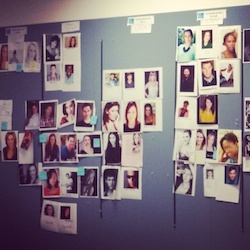 A sneak peak at the casting wall at Norwegian Creative Studios in Tampa, FL. Hertenstein says auditions are the place to put “your foot self forward.” And that means from head to toe. “Be conscience of what you wear, how you present yourself,” Hertenstein tells Dance Informa. “One of our pet peeves are when female singers come in and they have this dress on, looking beautiful, and they’re wearing flats. It’s just not attractive.” As far as Hertenstein is concerned – heels are a must for vocalists. He also cautions against coming dressed like the role you’re auditioning for. Hertenstein says a dancer or singer’s headshot should really show his or her personality. But, even more important than that, it should be a professional headshot. “Not like a selfie you did outside that you printed up on your computer at home,” he says. One page is ideal and in addition to those performing “highlights,” be sure to include your height because that can affect casting. This all comes with being prepared. Hertenstein urges that people don’t try to learn a song the night before. Hertenstein says it’s important to research the show you’re auditioning for so you know if you’re right for a certain role. But he adds that, while you may walk in to audition for one part, be open to other roles in the show. “You don’t want to pigeonhole yourself,” he says. The cast of Shout! 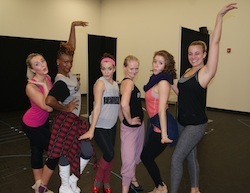 rehearse at Norwegian Creative Studios in Tampa, FL with choreographer Vibecke Dahle, center. 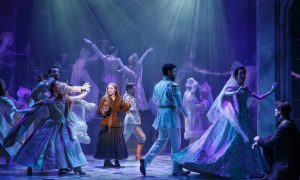 Even if you’re auditioning for what is advertised as a strictly dancer role, Hertenstein advises having vocal training because the dancers on the cruise ship are sometimes asked to sing or speak in a show. There are also some singer/dancer positions available. Keep them short — no more than five minutes. Include your best footage and made sure you can be seen well. If you include tricks or acrobatics, put them in a separate take. Include some performance footage, so they can see you in action. Even if you have to fake it till you make it. And if you don’t get your name called at the time of the audition, Hertenstein encourages dancers and singers to try again and not lose hope. By Deborah Searle & Stephanie Wolf of Dance Informa. Related Items:audition tips, cruise ship dance, cruise ship gig, cruise ship jobs, Elements, Kylie, Lady Gaga, Legally Blonde, Norwegian Cruise Line, Paradis, Ricky Martin, Robert Dean Hertenstein, Rock Of Ages, Shout!, Swing!